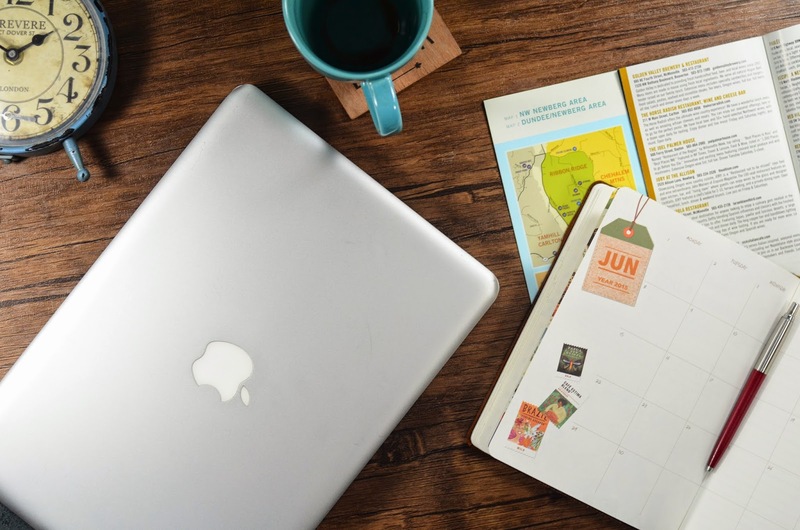 In today's fast-paced lifestyles, being connected, sharing and sending information online and using the latest gadgets to do our daily activities (or jobs) faster and easier, we rely on gadgets that have efficient software, has enough storage space and most of all, fast connectivity. As consumers, we do a lot of research online to look for the most current hip gadgets, but we also want one that's friendly on the budget. 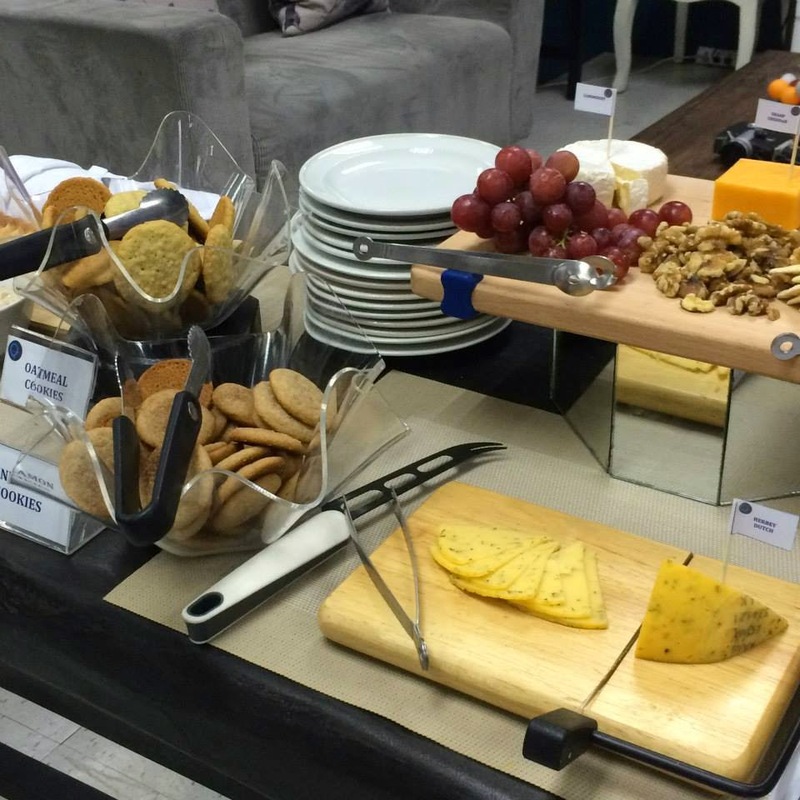 Recently, I was able to attend the re-launch of GetGadget Shop's revamped www.getgadgetshop.com website - an online gadget store that sells affordable gadget/tech gear that is fit for your unique active lifestyle. GetGadget Shop’s Managing Partner Cyruz Cruz shares that "GetGadget Shop is anchored on providing the most up-to-date gadgets at the fairest price possible at all times, and we also showcase a well-curated, locally hand-crafted accessory line for all types of customer profiles. From businessmen, top executives, adventure seekers to hardworking students, GetGadget Shop aims to assist an active lifestyle, complete with the latest models at a much affordable price compared to a reseller with physical store or other online shops”. GetGadget Shop assures customers of the best services as GetGadget Shop is a trusted local distributor. They give free delivery, easy returns, and one year service warranty for all units sold. 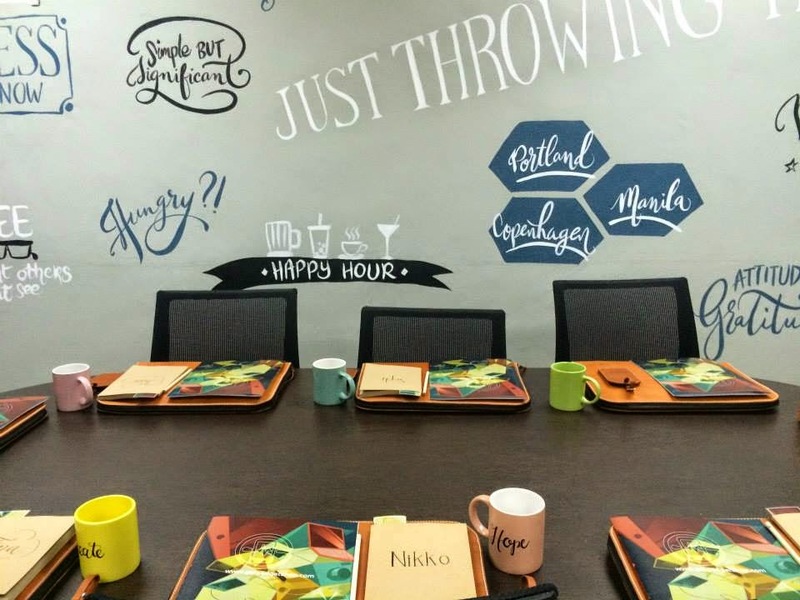 Payment options include cash on delivery and bank deposit for outside Metro Manila. 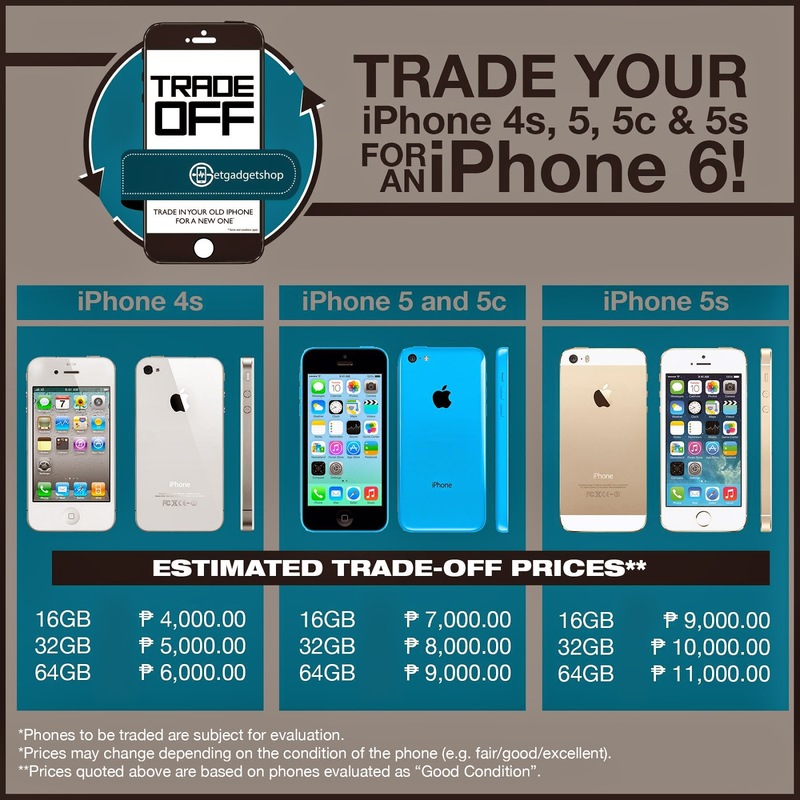 GetGadget Shop's one day trade off promo on March 31, 2015! Thinking of upgrading to iPhone 6 or iPhone 6 plus? 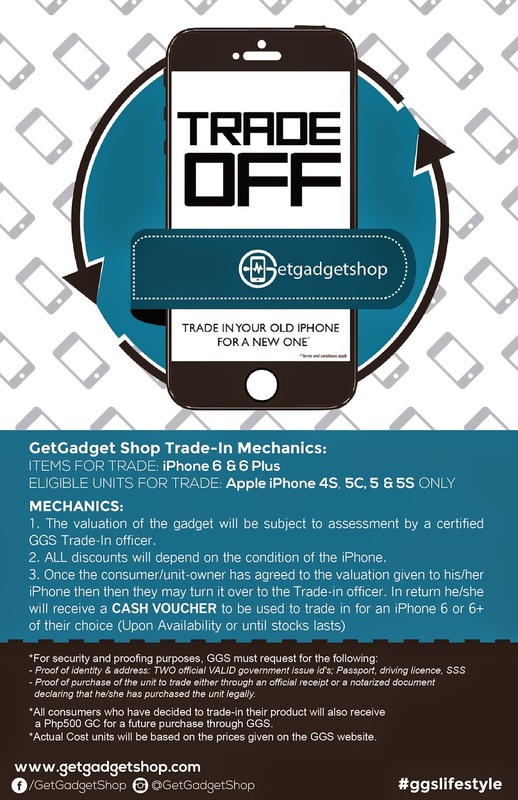 Here's an opportunity to upgrade to a brand new iPhone unit - GetGadget Shop, is offering its first trade off promotion on March 31, 2015. Open to all owners of iPhone 4s, 5, 5s and 5c unit with GB memory sizes (all gadgets for trading will be assessed to determine exact amount of discount. Once the seller has agreed on the actual value of the unit assessed by a GetGadget Shop trade officer, a cash check will be given as a mode of payment for the chosen unit. What’s more, interested traders can pre-reserve via GetGadget Shop Facebook fan page by sending a message with name, unit, model, GB size and preferred color. A trade in officer will send a reply within 24 hours to confirm order reservation). To know more about GetGadget Shop and how to purchase a gadget, visit www.getgadgetshop.com. Follow their social media pages on Facebook, Instagram, and Twitter: @GetGadgetShop. 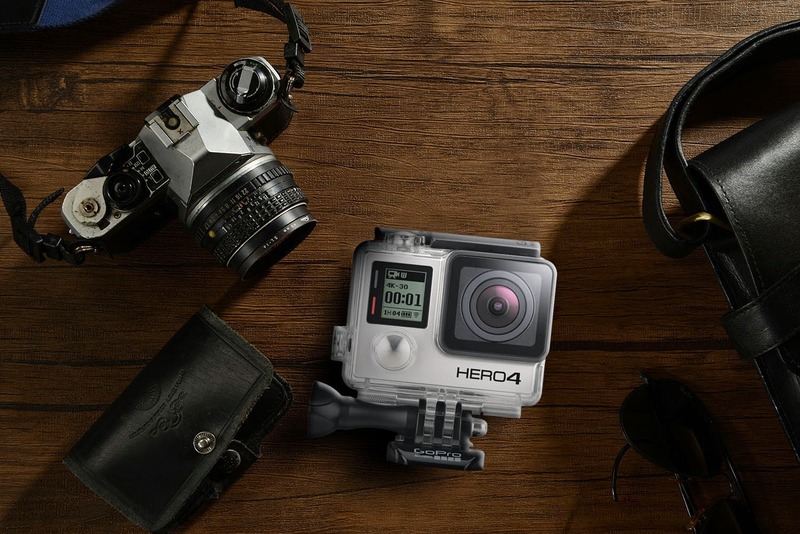 Share your GetGadget Shop finds by using the hashtag #GGSLifestyle. GetGadget Shop is located at Unit 1105, 11th Floor, Antel Global Building, Julia Vargas Ortigas Center, Pasig City and is a legitimate online gadget shopping site which started from humble beginnings as a trader of telecommunications to a renowned distributor of branded electronic products and services. For further inquiries, contact customer support at 0921-229-5653 / 0927-905-1259.